Peter Bacho was awarded an Evergreen Teacher Excellence Award in December. The annual award asks first-year Evergreen students to nominate teachers who have been particularly influential in their growth and development. 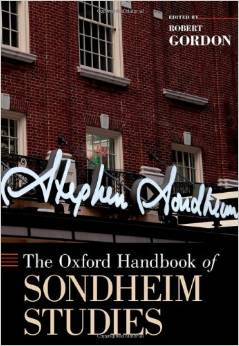 Drew Buchman contributed a chapter to the just-published Oxford Handbook of Sondheim Studies, edited by Robert Gordon. In it he examines the genesis and reception of Sondheim’s 1981 stage musical, Merrily We Roll Along, a critique based on archival research at the New York Public Library. In May, he presented a paper on the 1979 film adaptation of the musical Hair, directed by Milos Forman, at Restaging the Song, a conference co-sponsored by the University of Sheffield and the Workstation, a film studies center, in Sheffield, England. This month he’ll travel to Seoul, South Korea for two weeks to study traditional musical storytelling, or pansori, at the National Gugak Center. In April and early May, he collaborated with John Ford of KAOS, visiting artists, the Washington Center for the Performing Arts in Olympia, and Timberland Regional Library, providing introductory lectures and facilitating audience discussions for a film series of documentaries about America’s music, from early blues to hip-hop, on the Washington Center main stage. The series, which ran on six successive weekend evenings, was funded by a National Endowment for the Humanities grant and organized by the\Tribeca Film Center and the American Library Association. Arun Chandra has been working with a group of current and recent graduates of Evergreen who have been touring with a program of experimental works for voices and instruments—one composed by Arun and some by the students. The group gave several performances in western Washington during April and May. They will play this month at the New York City Electroacoustic Music Festival. Gerardo Chin-Leo and Evergreen student James (Gus) Robertson presented a poster titled “Phytoplankton Ecology in Budd Inlet during Summer 2013: Species Composition, Abundance, Biomass and Patchiness” at the 2014 Salish Sea Ecosystem Conference in Seattle last month. The work was supported by the Evergreen Summer Undergraduate Research Fellowship (SURF) program. Krishna M. Chowdary’s article, “Frequency-dependent magnetic permeability of Fe10Co90 nanocomposites,” co-authored with his thesis advisor Sara A. Majetich (Carnegie Mellon University), was published in the April 2014 issue of Journal of Physics D: Applied Physics. This article was based on work from Krishna’s Ph.D. thesis, “Dynamic Hysteresis in Compacted Magnetic Nanoparticles,” which he defended in November at Carnegie Mellon. Hirsh Diamant presented at the International Daoist Conference in Boston and at the Conference for Classical Asian Studies in New York. He talked about practices of self-cultivation and arts. 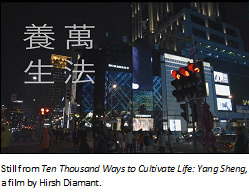 His short film, Ten Thousand Ways to Cultivate Life: Yang Sheng, can be seen on Vimeo. Marla Beth Elliott reprised her role as the muse of the civil legal aid community at the Washington State Access to Justice Board’s 20th anniversary reception at the Seattle Sheraton on May 15. From 1996 to 2006, Marla wrote and directed satiric musical skits for the Board’s annual conference that provided guiding metaphors for timely issues and put important people in tutus and feather boas. At the reception, Marla led the assembled judges and bar leaders in singing “Over the Rainbow” with specially modified lyrics: “If those accused of felonies can get a lawyer, why, oh why, can’t I?” Meanwhile, Marla’s band, The Righteous Mothers, played the Seattle Moisture Festival on April 10, the Alberta Rose Theatre in Portland on May 16, the Triple Door in Seattle on May 17, and in an on-line concert on May 18. Marla’s rhythm and blues band, Func Pro Tunc, played May 1 in Tacoma for an enthusiastic group of dancing student services workers from community colleges at their conference. 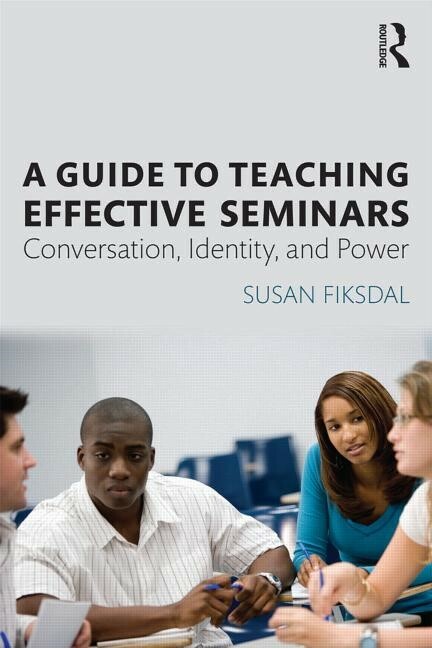 Susan Fiksdal has published A Guide for Teaching Effective Seminars: Conversation, Identity, and Power with Routledge. She includes many tips from current and past Evergreen faculty, data she has collected over 20 years at Evergreen, and findings from other researchers. Routledge has also published a companion web site that includes video clips that accompany transcripts in the book, lots of resources, and a poem by faculty emeritus Dean Olson. Jennifer Gerend and co-author Mathew Novak (Central Washington University) presented a paper on the 2013 Municipal Retail Planning Survey in Washington at the Association of American Geographers annual meeting in Tampa, Fla. in April. Zoltán Grossman is turning his University of Wisconsin geography dissertation on “unlikely alliances” between Native and rural white communities into a book for the University of Washington Press’s Indigenous Confluences series. He recently published an article about the Cowboy Indian Alliance stand against the Keystone XL pipeline. He also presented on Native resistance to fossil fuel projects at the Association of American Geographers in Tampa, Fla. and the Native American and Indigenous Studies Association in Austin, Texas. He testified at several Washington state hearings and made maps about proposed oil and coal terminals. The 2014 National Climate Assessment (released May 6 at the White House by the U.S. Global Change Research Program) has a section on “Indigenous Peoples, Lands, and Resources” that references the 2012 book he edited with Alan Parker, Asserting Native Resilience: Pacific Rim Indigenous Nations Face the Climate Crisis. Zoltán published an article and gave radio interviews about the Ukraine crisis and the role of far-right parties in the new government, for which he was criticized in an April 28 New York Times op-ed. 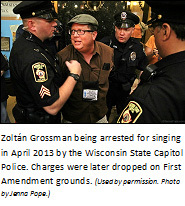 His 2013 arrest for singing in the daily Solidarity Sing-along in the Wisconsin State Capitol against Gov. Scott Walker was recently overturned on First Amendment grounds. Steve Herman made a presentation, “Washington Shrubsteppe: Our Rarest and Most Diverse Landscape” to the Washington Native Plant Society in April. Nancy Koppelman’s article, “‘When you want to do something, join us!’: The Limits of the Social Justice Mandate in Higher Education,” will be published later this year in the first major anti-Boycott, Divestment and Sanctions (BDS) book, The Case Against Academic Boycott of Israel, edited by Cary Nelson and Gabriel Noah Braham. Nancy was interviewed about the Academic Statement Initiative by Inside Higher Education for a Feb. 28 article. In May, she was invited to Regis University, a Jesuit institution in Denver, to help the faculty develop interdisciplinary teaching methods. This summer she will be working with both the Reservation Based Community Determined Program and the Curriculum for the Bioregion on projects under development. Nancy is also the lead faculty and, with Matt Newman, co-facilitator for the second year of the Evergreen Student Civic Engagement Institute, which will host 50 students during the week before Orientation. Good things come from the sewer. That’s what Elizabeth (Betty) Kutter recently told 150 Aberdeen High School students during a presentation about her research on bacteriophages—viruses that attack disease-causing bacteria. 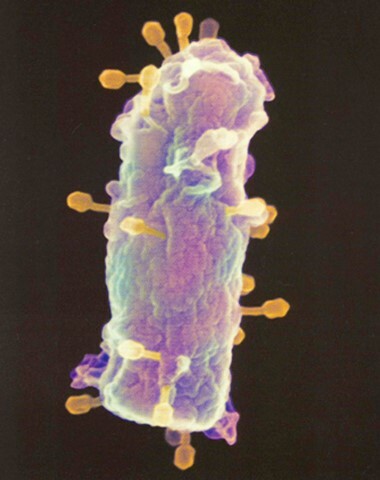 “From any liter of sewage,” she said, “we could get phage against any [number] of … E. coli strains.” Betty was the guest of Aberdeen teacher David Brunke, who has worked in her lab during the summer, including as a 2005 Murdock Charitable Trust Partner in Science. You can read the full story in a May 6 article in The Daily World: “Viruses May Be Key to Fighting Bacteria, Scientist Tells Aberdeen Students.” Betty continues her efforts to advance phage research around the globe through international organizations and the Phagebiotics Research Foundation that she founded. Emily Lardner presented a session called “Bringing Learning Communities to Scale: Yoking Quantity and Quality” at the American Association of Colleges and Universities Annual Conference in Washington, D.C. in January. Her co-presenters were Laura Pipe from the University of North Carolina-Greensboro and Marissa Schlesinger from Kingsborough Community College. Emily and Gillies Malnarich organized a workshop for the Achieving the Dream Annual Institute in Orlando, Fla. in February on curriculum redesign. Co-presenters included Margaret Balachowski from Everett Community College, Lisa DuRose from Inver Hills Community College, and Mary Leach from Lower Columbia College. In March, at the end of the AACU General Education and Assessment Conference in Portland, Ore., Emily and Gillies helped facilitate an “assignment-design charrette” with faculty from twenty colleges and universities for the National Institute on Learning Outcomes Assessment (NILOA) Assignment Library Initiative. They worked with Pat Hutchings, Jillian Kinzie and Natasha Jankowski from NILOA, Paul Gaston from Kent State University, and Peter Ewell from the National Center for Higher Education Management Systems. 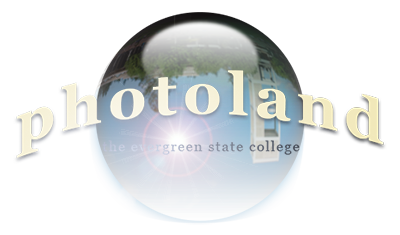 The NILOA assignment library initiative will be a place to publish peer-reviewed assignments. Evergreen faculty will have the opportunity to learn more about this initiative and participate in a campus-based assignment-design charrette in the fall. Carri LeRoy co-wrote a journal article about the influence of a recent massive drought in the desert southwest on stream ecosystems. “Indirect Influences of a Major Drought on Leaf Litter Quality and Decomposition in a Southwestern Stream” appears in Fundamental and Applied Limnology (184:1, 2014). The Sustainability in Prisons Project that Carri co-directs also received some excellent media coverage for its new program to protect endangered turtles, including: “Inmates Feel Better, Too, after Helping Ill Turtles” in The Seattle Times; “State Prisoners Nurture Endangered Turtles” on KING 5; and “Prisoners Work to Save Endangered Turtles” on KIRO 7. Bob Leverich is one of only seven artists selected from a pool of 190 applicants for the 2014 Schoodic International Sculpture Symposium this summer in Prospect Harbor, Maine. He’ll carve granite for six weeks on the Maine coast along with six other artists from Maine, Bulgaria, Korea, Republic of Georgia, and Spain. Each artist will be paired with one of seven coastal communities and will make a piece for that community. The works will be installed and dedicated at the end of the Symposium in September. In what may be one of the largest field trips ever attempted, 156 (yes, that many) Evergreen students attended the annual convention of the Western Psychological Association, in Portland, Ore. They set a record for the most students attending from any college or university in the 93-year history of the organization. Over 3,000 people attended the four-day meeting. The students were freshman through senior level, and for most it was their first time at a professional psychology conference. They were enrolled in individual learning contracts and four academic programs that combined their efforts to bring this mass migration about, with Carrie Margolin handling much of the nitty gritty. The programs and faculty were: So You Want to be a Psychologist (Carrie Margolin), Student-Originated Studies: Psychology and Integrative Health (Mukti Khanna and Heesoon Jun), Shame and Its Neighbors (Laura Citrin and Kathleen Eamon), and Clinical Psychology: The Scientist-Practitioner Model (George Freeman and Terry Ford). Gillies Malnarich organized a session, “Leveraging Side-by-Side Collaboration into Institutional Redesign,” for Achieving the Dream’s 10th Annual Institute on Student Success in Florida. Co-presenters included B.T. Brown and Barbara Hasty, Halifax Community College; Emily Lardner, Washington Center; Derek Price, DVP-PRAXIS, Ltd; and, Marissa Schlesinger, Kingsborough Community College, CUNY. Gillies also co-presented at Washington State’s Assessment, Teaching and Learning annual conference with Maureen Pettitt, Institutional Researcher, Skagit Valley College, on Washington Center’s Peer-to-Peer Reflection Protocol, a new structured-conversation tool for exploring students’ individual and collaborative dimensions of learning. Frances V. Rains is contributing a chapter to the Interventions Handbook: Advocacy & Activism in Curriculum Studies, a graduate level text forthcoming from Palgrave Macmillan Publishing Company. Tentatively titled “In Defiance of Historical Amnesia: Hegemony, Honesty and the Power of Decolonization,” the chapter will draw on the works of Native and non-Native scholars and personal experience, to examine how hegemony has operated to erase the longer history and relationships to the land, as well as to erase people of color, places, events and interactions. It will also explore ways to decolonize this history through both curriculum and pedagogical practices. Joli Sandoz receives her MFA in Writing (Creative Nonfiction) from Pacific University this month. The Gateways Robert Wood Johnson Foundation Forward Promise Grant, directed by Ellen Shortt Sanchez, has completed a successful first year. 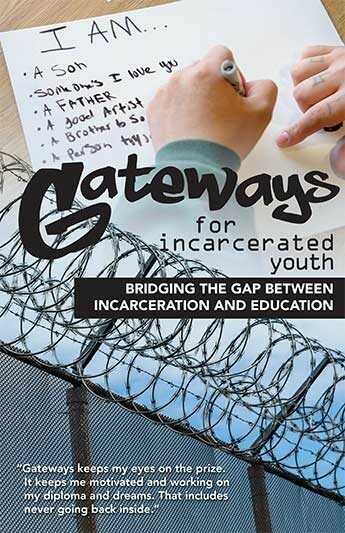 Chico Herbison served as co-principal investigator leading collaborative work to expand the program, document the Gateways model, and research other promising practices for faculty teaching in Gateways. Sunshine Campbell collaborated with Green Hill School to research state K-12 and Common Core standards and make recommendations for alignment with the Gateways model. Joye Hardiman served as program evaluator using the Appreciative Inquiry framework. She met with participating youth, campus-based students, program staff, faculty, and AmeriCorps and community partners. 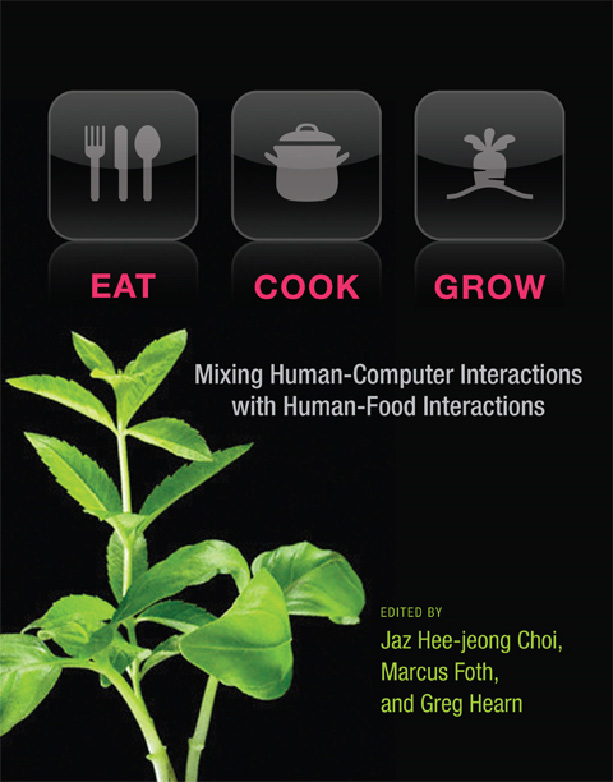 The recently published book, Eat, Cook, Grow: Mixing Human-Computer Interactions with Human-Food Interactions (MIT Press 2014) features the chapter “Civic Intelligence and the Making of Sustainable Food Culture(s) by Doug Schuler and Evergreen graduate Justin Smith (who recently received his PhD from Washington State University). Using Google Hangouts, Doug recently presented “Pattern Languages: An Approach to Holistic Knowledge Representation” to academics and students across Mexico, in Europe, and elsewhere. The people who organized the event are hoping to develop a pattern language on e-Learning in Mexico. Doug continues as president of the Seattle Community Network Association, a public-access community computing network organization celebrating 20 years of work in the greater Seattle area. Later this month he’ll give a presentation in Zurich on interdisciplinary collaboration via pattern languages, a seminar entitled “Civic Intelligence: It’s Indispensable but Is It Possible?” at the University of Milan, and a full-day workshop, “Experimenting the Urban: Exploring the interplay between Policy Making and Civic Intelligence,” at the Milan Polytechnic on June 25. In February, Fran Solomon taught a short course, Endocrine Disruptor Chemicals: Human Health Impacts and How to Reduce Exposure, to environmental and health care professionals at Bastyr University. She taught another short course, Metal Mining Discharges—Impacts and Controls, at EduMine and the University of British Columbia Institute of Mining Studies in Vancouver, B.C. Participants were environmental and mining industry professionals. In addition to teaching at Evergreen’s Tacoma program, Fran is teaching Water Quality this quarter at Western Washington University’s Huxley College on the Peninsulas. She is currently conducting research for the Washington Toxics Coalition about the human health and environmental impacts of the widely-used antimicrobial agent triclosan. Neil Switz had two papers published in the journal PLOS One, the first on a novel design enabling low-cost, large field-of-view microscopy using mobile-phone based microscopes, and the second on doing quantitative imaging with similar systems. A system based on part of this work is slated for deployment in a parasitic worm eradication project in Cameroon later this year. An Evergreen undergraduate will accompany Neil this summer to do related research at the University of California, Berkeley. In April, Erik Thuesen gave a training lecture on marine invertebrates for the Beach Naturalist Program of the South Sound Estuary Association. 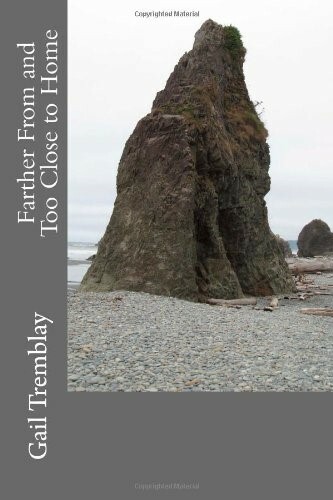 Gail Tremblay’s new book of poems, Farther from and Too Close to Home, came out in December. 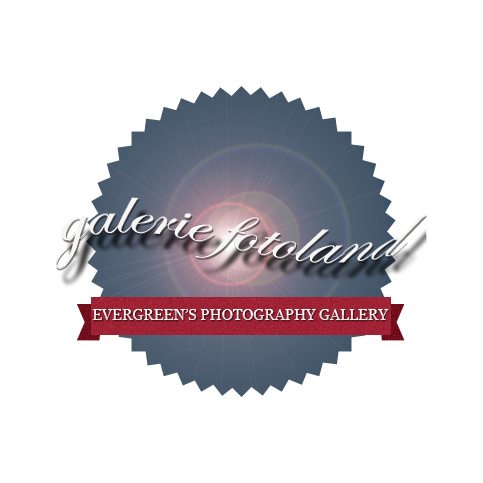 Gail is curating an exhibit with Miles Miller ‘05, an Evergreen graduate and independent curator, and Lisa Young, who works at the Museum of Northwest Art in LaConner, Wash. It will cover the contemporary Native American art movement in the Northwest from the 1980s to 2015 and will open in September 2015. The Changing Hands: Art without Reservations 3 exhibit closed at the Chazen Museum in Madison, Wis. at the end of April and will open at the University of Michigan Museum of Art in Ann Arbor on June 15. The exhibit features Gail’s film basket, It Was Never about Playing Cowboys and Indians. Thuy Vu was an invited keynote speaker at a training conference organized by the Asian Pacific for Human Resource and Skill Training Center in Saigon in December. He spoke about organization and leadership development for managers in business and non-profit enterprises in Vietnam. Kristopher V. Waynant’s paper, “General Method for Forming Micrometer-Scale Lateral Chemical Gradients in Polymer Brushes,” appeared in the journal Chemistry of Materials (26:8) in March. The work was sponsored by the Defense Threat Reduction Agency to lead to the rapid separation, degradation, and detection of potential chemical threats. Sean Williams was the co-keynote speaker with Tomie Hahn (Rensselaer Polytechnic Institute) at the Midwest Chapter Meeting of the Society for Ethnomusicology in April at Lawrence University (Appleton, Wis.). Their talk, titled “Braided Lives: Moving through the Soundscape,” focused on the importance of recognizing the interdisciplinarity of ethnomusicological practices and modes of transmission beyond the linear ethnography. Sean was interviewed about a number of Irish-descended musicians, including Bing Crosby and others, in a television documentary series called Guth na nGael (“Voice of the Irish”), produced by RTÉ (Raidió Téilifís Éireann, the Irish public broadcasting network). Part of the interview includes her singing. 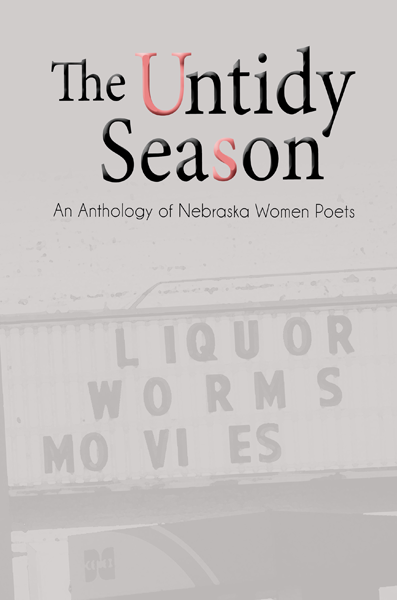 Sandy Yannone’s poems appeared in the anthology The Untidy Season: An Anthology of Nebraska Women Writers (Backwaters Press, 2013). She travelled to Lincoln, Neb. in April to participate in a reading from the anthology. She also presented with three tutors from the Writing Center at the recent Higher Education as Collaboration: An Educator-Employer Forum on how tutoring skills translate into jobs for Evergreen Writing Center alums. Zhang Er was named “Female Poet of the Year 2013” by Overseas Chinese Poetry Magazine (Ontario, Canada), in December. Her video-recorded reading was presented for the 15th Anniversary celebration of Wings (Yi, a journal of women’s poetry) at the Central Art Academy of China in Beijing in November. Also that month, she was an invited guest and panelist at Taipei Poetry Festival. Several of her poems were published in Poems from Life, the collection produced by the Festival. She was a panelist at the AWP (Association of Writers & Writing Programs) conference in Seattle in February, where she discussed the relationship between science and poetry. She delivered a lecture and led a workshop about the role of translation in poetry writing for the MFA program at Long Island University Brooklyn’s in March. In recent months, her work has appeared in several Chinese poetry journals in China, Taiwan and the U.S. Her chapbook, Cherry has neither Heart nor Liver, came out in March from Poetry EMS weekly in Beijing. Evergreen has received the following external grants since the April 2014 issue of Faculty Notes.